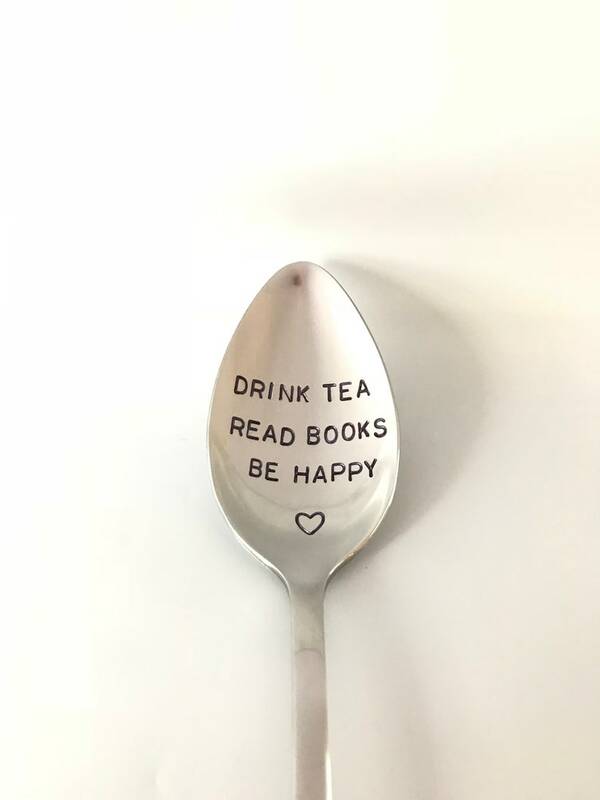 This is a new stainless steel spoon that is carefully hand stamped by me to say “Drink Tea Read Books Be Happy”. Your choice of a heart or tea cup stamp at the bottom. I can also personalize it to say whatever you want. It's a cute, funny Gift for Mother’s Day, a Birthday, or just because! 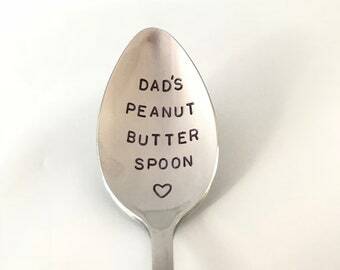 Since each spoon is made by hand, there will be very small variances from the one pictured above. The ink used is food safe but not permanent. It's dishwasher safe however, hand washing will make it last much longer. The engraving will remain FOREVER. When selecting Express 1-2 day shipping, please send me a message so I can expedite the order. Please check out my other listings like this and don't hesitate to convo/email me if you have any questions. The gift box is padded inside and in Kraft paper color (same size as a necklace box). You can request a free stationary gift note as well. Fantastic service and I love the items I received! They were both gifts and the recipients were thrilled! Beautiful product that arrived quickly! Please pay within 3 days of closing item. I accept returns for an even exchange or refund. Buyer pays return shipping. No returns/refunds on custom orders (unless I made a clear mistake in the order). All books are covered with insurance from loss/damage during delivery. I take photos of the exact book(s) before shipment. Customs and Import duties are the responsibility of the customer. These charges vary and are charged when your package reaches its destination country. We recommend that customers contact their local customs office for details on how these charges are assessed and applied. Packages that are returned because of an incorrect address will be refunded the order minus the shipping/duties cost. Should your package be lost in transit we will gladly assist you in recovering your package by tracing it on our end. If your package is insured (priority) then we will issue a refund or send a replacement. I try to get orders out as quickly as possible. However, I can get backed up sometimes so please allow up to 3 days before it ships. If you select priority express shipping, please contact me so I know to expedite the order. Please contact me for quantities over 12 for wholesale pricing. There’s a box at checkout where you can enter what you’d like on the Spoon, fork, spatula etc. 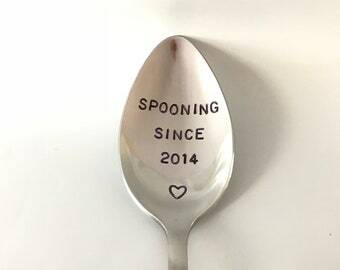 Wholesale pricing is available for 12 or more spoons, forks etc. Please send me a message with what you would like (sayings you would like on the items, quantity etc) and I will get back to you with my best price. If the shipping address is incorrect please send me a message with the new address and I will change it.